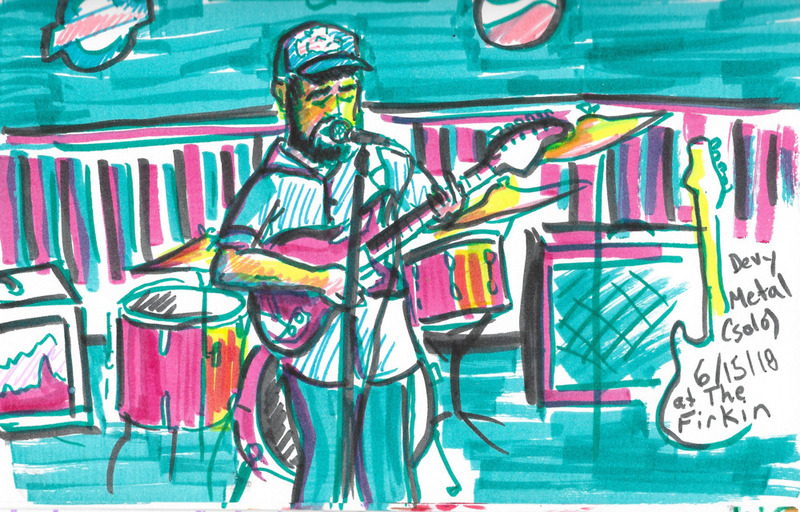 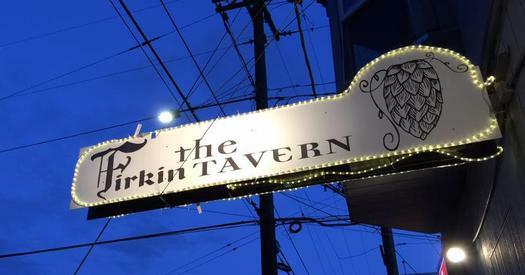 This past June, I got a chance to draw some sketches at a characteristically eclectic show at The Firkin, Portland’s coziest dive bar venue. 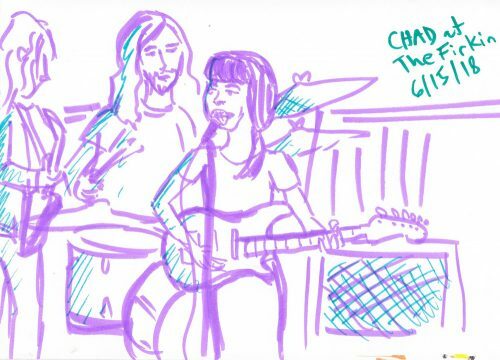 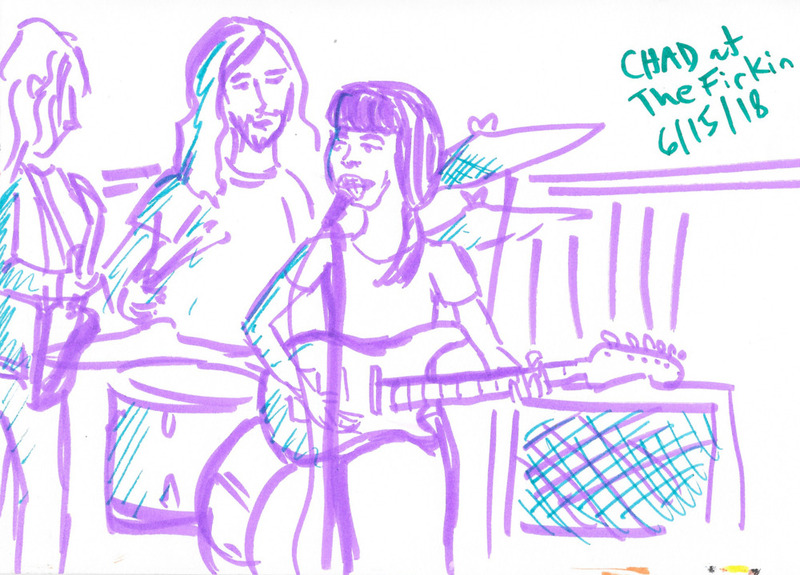 Devin Brown, known for fronting local garage rock band Devy Metal, played a stripped down solo set of his inventively melodic pop rock songs, followed by the moody but effusive sounds of CHAD, a new project of Sarah Lane from The Late Great. 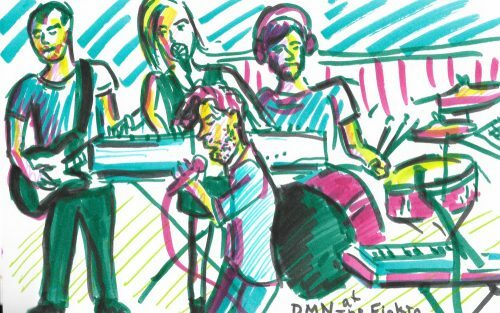 Finally, DMN rounded out the evening and transformed the bar into a mini dance club with their glossy, energetic synth-pop. Editor’s note: These three drawings are included in the complete collection, which is accessed from the Sketches menu.